We're a gaggle of volunteers and opening a new scheme in our community. Your web site provided us with valuable info to work on. You've performed a formidable activity and our entire community shall be grateful to you. you are really a just right webmaster. The website loading velocity is amazing. It sort of feels that you're doing any distinctive trick. In addition, The contents are masterwork. you have performed a great job on this matter! Hi there! I know this is kinda off topic however , I'd figured I'd ask. Would you be interested in trading links or maybe guest writing a blog article or vice-versa? My website goes over a lot of the same subjects as yours and I think we could greatly benefit from each other. If you are interested feel free to send me an email. I look forward to hearing from you! Awesome blog by the way! I think what you said was very logical. However, what about this? suppose you were to write a killer post title? I mean, I don't wish to tell you how to run your blog, however suppose you added something to maybe grab a person's attention? I mean フェアレディカフェ訪問記－１: Tomica Display Room is kinda vanilla. You could glance at Yahoo's home page and see how they create article titles to grab viewers to open the links. You might add a related video or a pic or two to grab people interested about everything've got to say. In my opinion, it might bring your website a little bit more interesting. Oh my goodness! Amazing article dude! Thank you so much, However I am going through difficulties with your RSS. I don't understand the reason why I cannot subscribe to it. Is there anyone else having the same RSS issues? Anyone who knows the solution can you kindly respond? Thanks!! Hi, i think that i noticed you visited my site thus i got here to return the want?.I'm trying to in finding things to improve my web site!I assume its ok to use some of your ideas!! It's an awesome paragraph in favor of all the online people; they will get advantage from it I am sure. I've been exploring for a little for any high-quality articles or weblog posts on this kind of area . Exploring in Yahoo I ultimately stumbled upon this web site. Studying this information So i'm happy to convey that I have a very good uncanny feeling I found out exactly what I needed. I such a lot certainly will make certain to don?t fail to remember this website and provides it a look regularly. I just like the valuable info you supply to your articles. I'll bookmark your blog and test again right here regularly. I am slightly certain I will be told plenty of new stuff proper here! Best of luck for the next! magnificent issues altogether, you simply received a new reader. What would you recommend about your post that you simply made a few days ago? Any positive? Hi there colleagues, its fantastic paragraph on the topic of teachingand entirely explained, keep it up all the time. I am actually glad to glance at this web site posts which contains plenty of valuable data, thanks for providing these kinds of data. Nice post. I used to be checking continuously this blog and I'm inspired! Very useful info specially the final phase : ) I maintain such info a lot. I was seeking this certain information for a long time. Thank you and best of luck. It's not my first time to pay a visit this web site, i am visiting this web page dailly and take good information from here everyday. With havin so much written content do you ever run into any issues of plagorism or copyright infringement? My site has a lot of exclusive content I've either created myself or outsourced but it seems a lot of it is popping it up all over the internet without my agreement. Do you know any solutions to help protect against content from being stolen? I'd genuinely appreciate it. My spouse and I stumbled over here different web address and thought I should check things out. I like what I see so now i am following you. Look forward to looking over your web page again. Excellent post. I was checking continuously this weblog and I'm impressed! Very useful info specially the ultimate part :) I deal with such info a lot. I was seeking this particular info for a very long time. Thank you and good luck. Howdy, I think your site might be having browser compatibility issues. When I take a look at your website in Safari, it looks fine however, when opening in Internet Explorer, it has some overlapping issues. I merely wanted to give you a quick heads up! Apart from that, great site! I have read so many articles concerning the blogger lovers but this piece of writing is actually a fastidious paragraph, keep it up. Thanks for the good writeup. It in truth used to be a amusement account it. Glance advanced to more introduced agreeable from you! However, how could we keep in touch? I really love your blog.. Pleasant colors & theme. Did you build this web site yourself? Please reply back as I'm planning to create my very own website and want to know where you got this from or just what the theme is named. Appreciate it! Howdy, i read your blog occasionally and i own a similar one and i was just curious if you get a lot of spam responses? If so how do you protect against it, any plugin or anything you can suggest? I get so much lately it's driving me crazy so any support is very much appreciated. Have you ever thought about including a little bit more than just your articles? I mean, what you say is important and all. However think of if you added some great visuals or video clips to give your posts more, "pop"! Your content is excellent but with images and videos, this blog could undeniably be one of the best in its field. Superb blog! I really like what you guys are up too. This type of clever work and reporting! Keep up the excellent works guys I've included you guys to blogroll. What's up to all, how is all, I think every one is getting more from this site, and your views are good for new viewers. I have read some just right stuff here. Definitely value bookmarking for revisiting. I wonder how a lot effort you set to create this sort of wonderful informative site. certainly like your web-site but you need to check the spelling on quite a few of your posts. A number of them are rife with spelling issues and I in finding it very troublesome to inform the truth however I will surely come back again. Thank you, I have recently been searching for info approximately this subject for a long time and yours is the greatest I've came upon so far. However, what concerning the bottom line? Are you sure concerning the source? Just want to say your article is as astounding. The clarity in your post is simply cool and i could assume you're an expert on this subject. Well with your permission allow me to grab your RSS feed to keep updated with forthcoming post. Thanks a million and please continue the rewarding work. Every weekend i used to pay a quick visit this website, because i wish for enjoyment, since this this web page conations in fact pleasant funny stuff too. It is the best time to make some plans for the future and it is time to be happy. I have learn this post and if I may I wish to suggest you few attention-grabbing things or tips. Perhaps you could write subsequent articles referring to this article. I want to read more things about it! This piece of writing is actually a fastidious one it assists new internet users, who are wishing in favor of blogging. I got this web site from my friend who told me concerning this web page and at the moment this time I am browsing this web page and reading very informative content at this place. Thank you for the good writeup. It in truth used to be a enjoyment account it. Look complex to far brought agreeable from you! However, how can we be in contact? If you wish for to increase your experience only keep visiting this web page and be updated with the most recent information posted here. I am in fact glad to read this weblog posts which consists of tons of helpful information, thanks for providing these data. I comment each time I especially enjoy a article on a website or I have something to contribute to the conversation. Usually it is triggered by the fire displayed in the post I browsed. 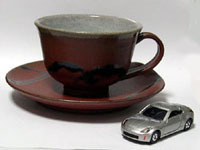 And on this article フェアレディカフェ訪問記－１: Tomica Display Room. I was moved enough to leave a comment : -P I actually do have some questions for you if it's allright. Is it only me or do a few of these remarks appear like written by brain dead folks? :-P And, if you are writing on other places, I'd like to keep up with everything new you have to post. Could you make a list every one of your communal pages like your Facebook page, twitter feed, or linkedin profile? Greate pieces. Keep writing such kind of information on your page. Im really impressed by it. Hello there, You've done an excellent job. I'll certainly digg it and individually suggest to my friends. I am sure they'll be benefited from this site. Good response in return of this question with real arguments and telling all regarding that. I'm really enjoying the theme/design of your site. Do you ever run into any browser compatibility problems? A few of my blog readers have complained about my website not working correctly in Explorer but looks great in Firefox. Do you have any recommendations to help fix this problem? Does your website have a contact page? I'm having trouble locating it but, I'd like to shoot you an e-mail. I've got some suggestions for your blog you might be interested in hearing. Either way, great blog and I look forward to seeing it expand over time. Hi! This post couldn't be written any better! Reading through this post reminds me of my good old room mate! He always kept chatting about this. I will forward this write-up to him. Pretty sure he will have a good read. Many thanks for sharing! Thanks for a marvelous posting! I truly enjoyed reading it, you will be a great author.I will remember to bookmark your blog and definitely will come back very soon. I want to encourage you continue your great posts, have a nice morning! Oh my goodness! Impressive article dude! Thank you, However I am going through difficulties with your RSS. I don't understand the reason why I am unable to subscribe to it. Is there anybody having the same RSS problems? Anybody who knows the answer can you kindly respond? Thanks!! Hi there! Someone in my Facebook group shared this website with us so I came to give it a look. I'm definitely loving the information. I'm bookmarking and will be tweeting this to my followers! Wonderful blog and terrific design and style. Oh my goodness! Impressive article dude! Thank you, However I am going through difficulties with your RSS. I don't understand why I can't subscribe to it. Is there anybody else having identical RSS issues? Anybody who knows the answer can you kindly respond? Thanx!! There's definately a great deal to find out about this topic. I like all the points you made. Do you have a spam problem on this site; I also am a blogger, and I was wondering your situation; many of us have created some nice methods and we are looking to trade strategies with other folks, why not shoot me an e-mail if interested. My family members all the time say that I am killing my time here at net, but I know I am getting experience every day by reading such pleasant articles. Great post. I was checking constantly this blog and I am impressed! Extremely helpful info specifically the last part :) I care for such information a lot. I was seeking this particular information for a very long time. Thank you and good luck. It's appropriate time to make some plans for the future and it's time to be happy. I have read this post and if I could I wish to suggest you some interesting things or tips. Maybe you can write next articles referring to this article. I wish to read even more things about it! Excellent post. Keep writing such kind of information on your blog. Im really impressed by it. Hello there, You've done a fantastic job. I will definitely digg it and personally recommend to my friends. I'm sure they will be benefited from this web site. I've been exploring for a bit for any high quality articles or blog posts in this sort of area . Exploring in Yahoo I finally stumbled upon this web site. Reading this info So i am satisfied to show that I've an incredibly just right uncanny feeling I found out exactly what I needed. I so much no doubt will make sure to do not put out of your mind this site and give it a look regularly. Hi there everyone, it's my first pay a quick visit at this web page, and article is actually fruitful designed for me, keep up posting these types of articles. Hi there, this weekend is pleasant in favor of me, as this moment i am reading this wonderful informative paragraph here at my residence. Hello to every one, since I am really keen of reading this blog's post to be updated daily. It contains fastidious information. Hi there it's me, I am also visiting this site regularly, this web site is truly fastidious and the visitors are genuinely sharing good thoughts. Wonderful post however , I was wanting to know if you could write a litte more on this subject? I'd be very thankful if you could elaborate a little bit more. Many thanks! I pay a quick visit daily a few web sites and information sites to read content, however this web site presents quality based articles.